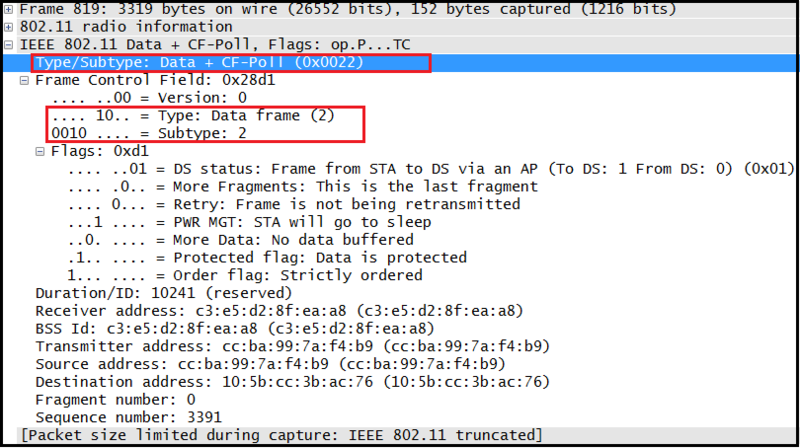 There are 15 different types of Data Frames defined in IEEE 802.11-2007 standard. 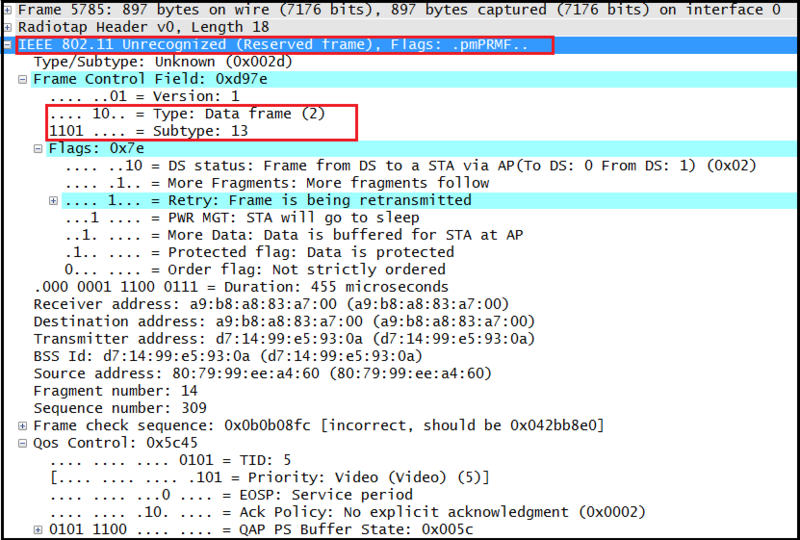 Data frames with a value of 1 in the QoS subfield of the Subtype field (Bit7) are collectively referred to as QoS data frames. 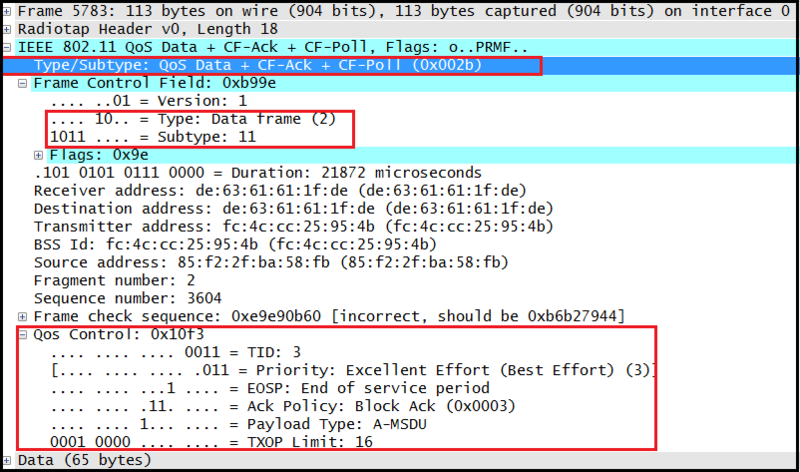 Each of these data subtypes contains QoS in their names, and this frame format is distinguished by the presence of a QoS Control field in the MAC header. A QoS STA always uses QoS data frames for data transmissions to other QoS STAs. 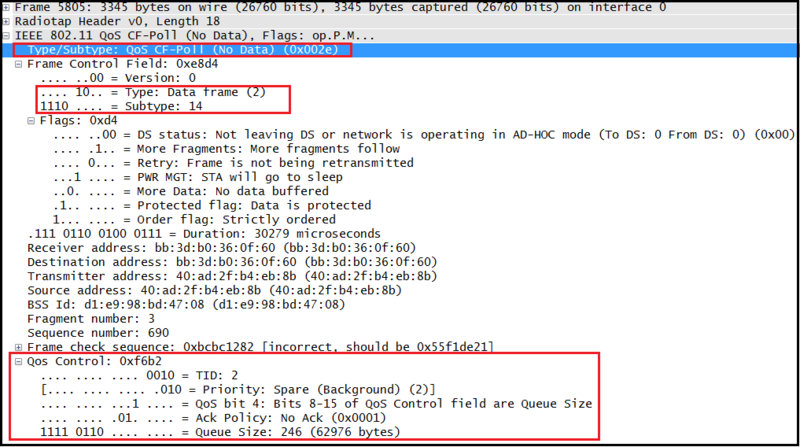 A QoS STA uses frames with the QoS subfield of the Subtype field set to 0 for data transmissions to non-QoS STAs. 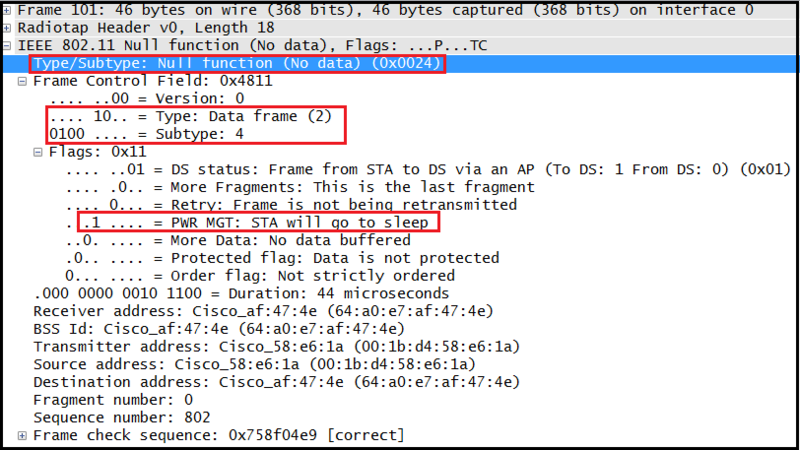 A non-QoS STA always uses frames with the QoS subfield of the Subtype field set to 0 (Bit7) for data transmissions to other STAs. 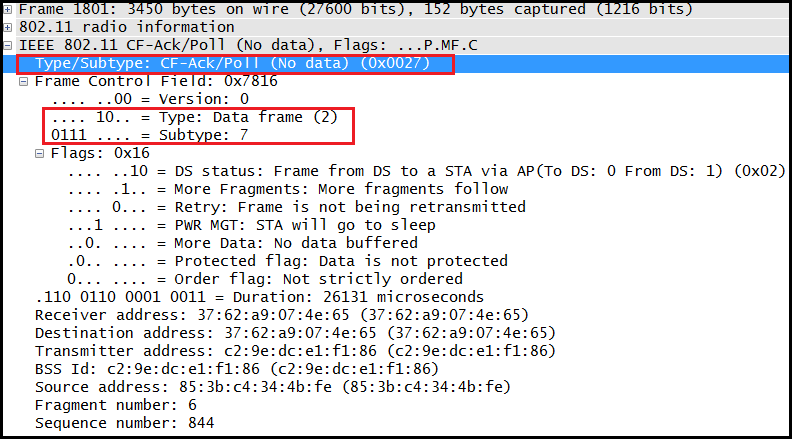 All STAs use frames with the QoS subfield of the Subtype field set to 0 (Bit7) for broadcast data frames unless a transmitting STA knows that all STAs in a BSS have QoS capability, in which case the transmitting STAs use QoS data frames. 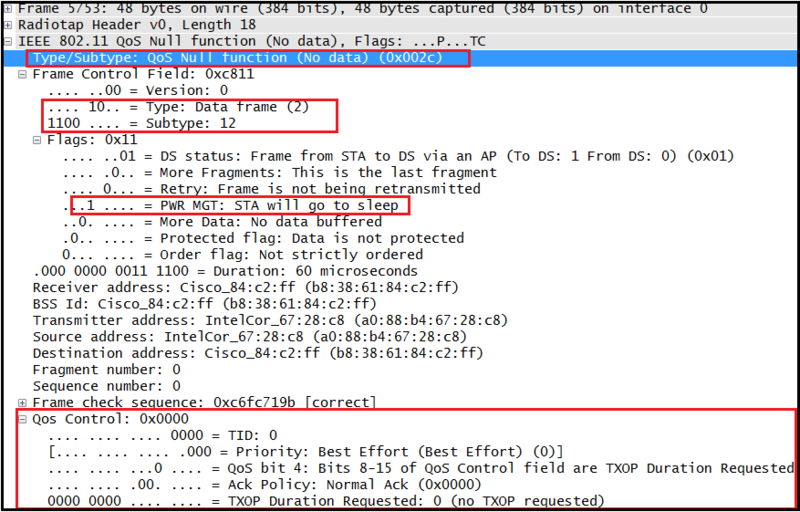 All STAs use frames with the QoS subfield of the Subtype field set to 0 for group addressed data frames (ie multicast) unless it is known to the transmitter that all STAs in the BSS that are members of the multicast group have QoS capability, in which case STAs use QoS data frames. 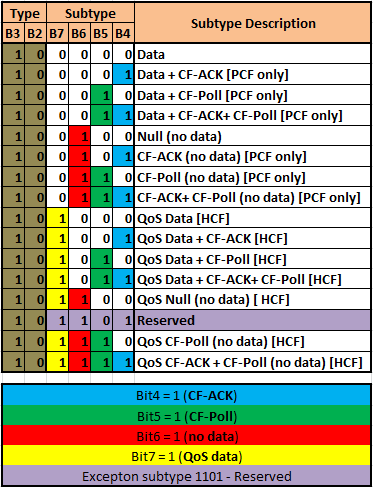 Here is a QoS Data frame Where subtype is 8. 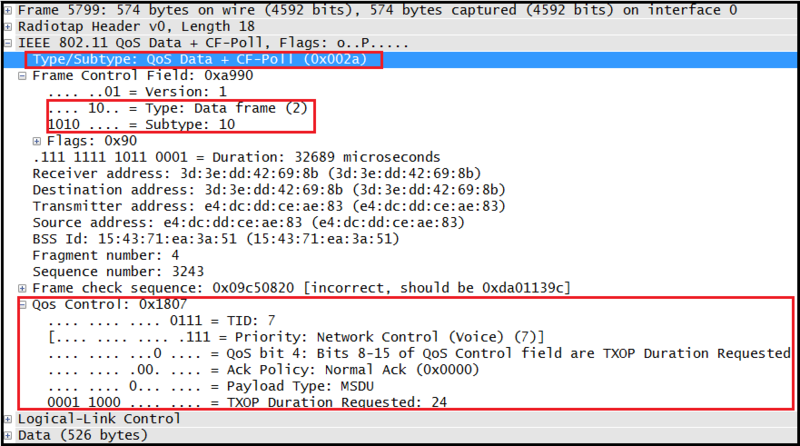 Note that QoS control field in the MAC header. My first question is, why does STA send Broadcast Data frame? 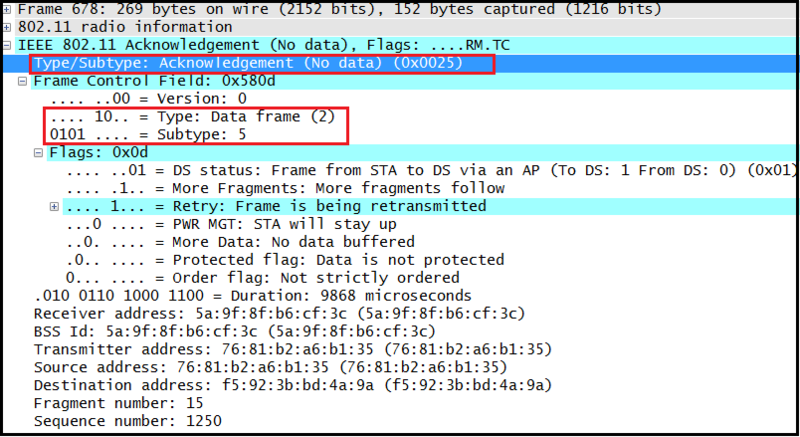 I am working on school project and I need to determine MAC addresses of STAs in range. 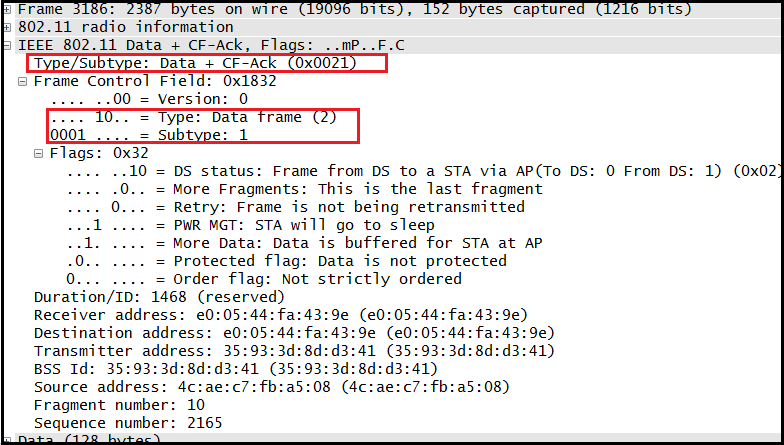 I am trying to do that using From DS/To DS bits (assuming that when frame is from STA, these bits are set To DS=1,From DS=0 so I use 2nd address as MAC address of STA, and To DS=0,From DS=1 when frame is originated to STA so I use 1st address as MAC address of STA). 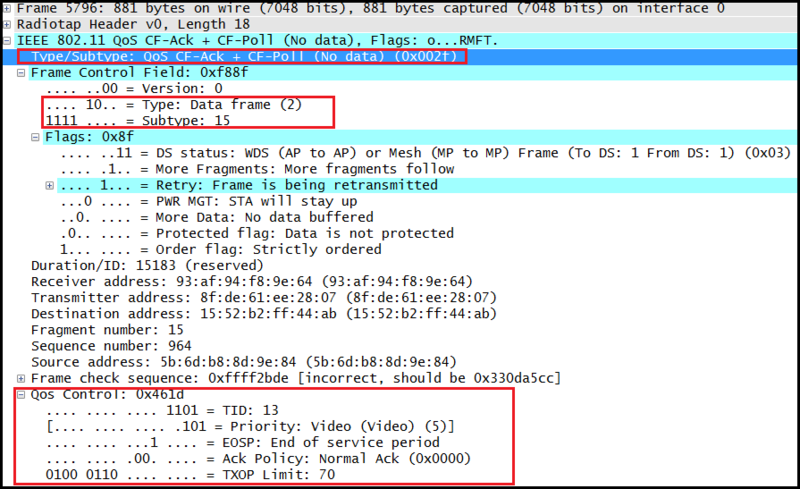 It seems that it works for example with QoS data frames, but when I analyze Data frames with bits set To DS=0, From DS=1 (case where I would use 1st address), there is a broadcast address on that place. So my next question is, if is my assumption correct or not? And if it is not, is there any other way how to determine direction of frame? 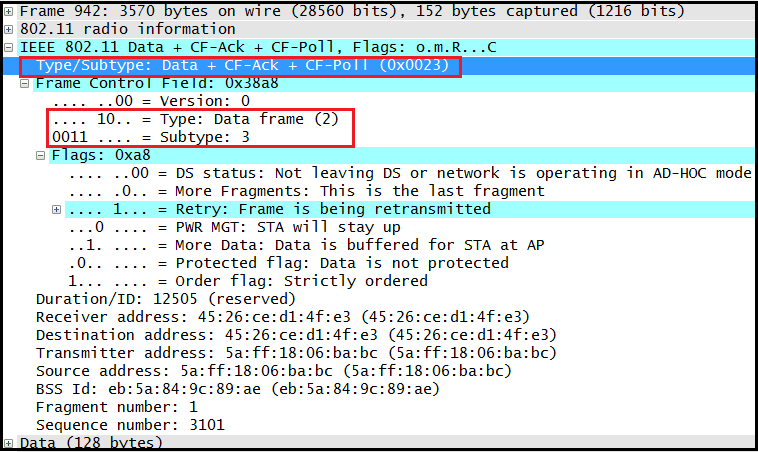 How does AP send DATA+CF-POLL to station2 and CF-ACK to station 1 in a single frame as per PCF ? It’s very nice article. 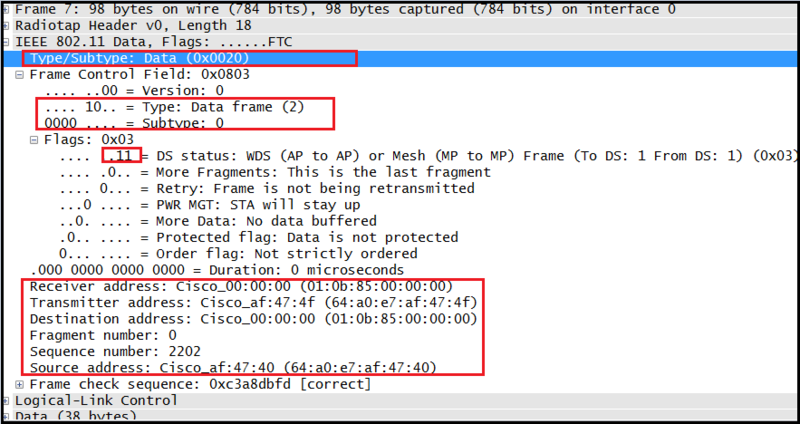 I am improving my WLAN understanding better in this blog. Thank you Aragorn for appreciating it.